It’s the first rule of communication: know what you want to say before you start saying it. Few things are more frustrating than trying to listen to someone who is trampling on this rule…their mouth is moving and the words are flowing and they have no idea where they are trying to go. That, I believe, is where the prophets of the ancient days set themselves apart. They were called “seers”…because they could see what was unseen by all the rest of us. It was not so much a gift of SPEAKING, as much as it was a gift of SEEING and then simply speaking the truth about what they saw. That calling was made so very clear in Jeremiah’s case. I do not study scripture in the original Hebrew. But Charles Spurgeon did. 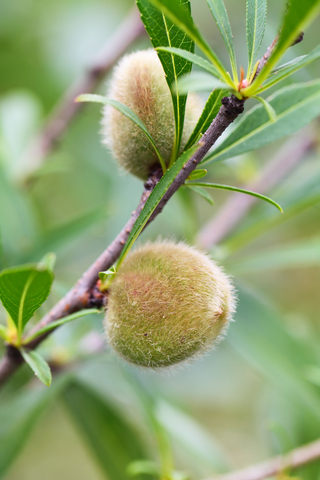 And he notes that the Hebrew word for “almond” actually comes from a root word that means “awake” or, more specifically, “wakeful”. That is because the almond tree started to blossom very early in the Spring (even late Winter), while all the other trees were still sleeping. So, in the Hebrew language, this tree was known as the “wakeful tree”. The imagery would have been clear to Jeremiah. His assignment was to see, first and foremost. If Jeremiah will remain wakeful to see, God will remain wakeful to perform His word just as Jeremiah sees it. God’s assignment came with a promise. It always does, doesn’t it? This entry was posted in Church Communications, Discerning God's Will Together, Everyone's a Minister, leadership, missional, prayer, The Church's Influence and tagged almond, assignment, awake, Charles Spurgeon, church, Hebrew, Jeremiah 1, prophecy, prophet, see, seer, social media, speak, truth, wakeful, Word on February 27, 2014 by Blake Coffee.